At its most basic, Bingo is a game or contest where players try to accumulate numbers, words, or shapes to complete a preset pattern or line combination designated by the caller. 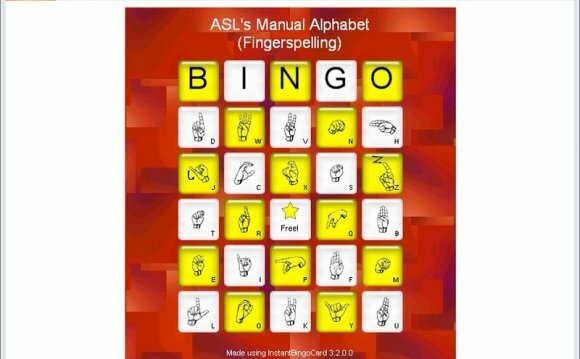 While Bingo can be played competitively or as a fun leisure activity, this classic party game can also be adapted into a teaching or educational tool for children. Whether you're planning a baby shower, birthday party, or game night, Bingo offers an endless amount of fun and entertainment for all ages. With a little bit of effort and imagination, making your own Bingo cards will be a straightforward and rewarding process. The first step in making your own Bingo cards involves deciding what information or characters you want to appear on the game-play grid. Although the most common version of the game features numbers, Bingo can also be played using words, phrases, shapes, and symbols. For more variety, you can use premade Bingo cards or an online word generator to populate your game-play grid with characters that are specific to your occasion. For example, Halloween Bingo cards might include images of a black cat, spider, or ghost, as well as words like 'spooky' and 'trick or treat.' And while Valentine-themed cards will have red and purple hearts, X's and O's, cupid, and terms like 'love, ' and 'romance, ' Bachelorette Bingo cards can incorporate a martini glass, white doves, and a garter belt. Instructional Bingo cards can also be created using vocabulary-building nouns and verbs, such as 'hat, ' 'run, ' 'jump, ' or 'train, ' as well as pictures of various animals and geometric shapes. Once you have chosen your characters, it is time to select the size of your Bingo cards. Your Bingo card should be large enough to accommodate the traditional 5x5 Bingo grid. It is also a good idea to ensure that the characters are easy to identify and mark off when they are called. Print or use a ruler and pencil to draw one Bingo card, consisting of 5 rows and 5 columns, on each piece of paper or cardstock. Write the word 'Bingo' in the header space above the Bingo grid. This size works well if you want to include a decorative border on the card or print game play instructions at the top of the page. This medium-sized option features two Bingo cards side-by-side on one page. The advantage here is that you can play two games in a row without having to stop after each round to hand out a new set of cards. Although Bingo cards of this size are smaller than the other options, placing four game play grids on one piece of paper is economical, environmentally friendly, and ideal for playing multiple cards in a single round. While most games of Bingo are played on a playing surface made out of paper, there are several types for you to choose from, including: colored bristol board, photo paper, premade cardstock, 8x10 loose leaf, recycled paper, recipe cards, construction paper, and legal size paper. In addition to the game play grid, you may want to use photos, stamps and an embossing kit, stickers, decals, and other scrapbooking supplies to add a personal or creative touch to your Bingo cards. You can also decorate your Bingo cards using stencils or hand painted designs of cats, dogs, flowers, cartoon characters, race cars, sports teams, balloons, or cupcakes.